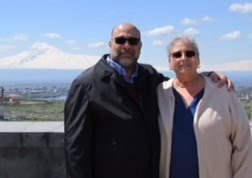 Much to my delight, Sonia Tashjian has translated some of her recipes from Armenian into English so that they would appeal to The Armenian Kitchen readers who, like me, cannot read Armenian. I humbly thank Sonia for her willingness to share her culinary expertise and knowledge with us! On these snowy days, we like to eat soups, so I'm suggesting to prepare TTEJRIK, from Musa Dagian cuisine. “Ttejrik” means “sour water”. There are similar soups in our traditional cuisine; they are usually prepared on lent period, & especially on Maundy Thursday, for the memory of Jesus’ passion. 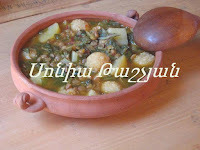 But this soup is from Musa Dagh region & a daily one. To prepare the balls - combine equal amount of fine bulghur & flour (if you desire combine meat & bulghur); knead with some water & spices; prepare small balls; fry with ghee or oil. Cook the lentil, add chopped onion, potato & continue to cook; then(add) a bunch of chopped chard, tomato paste, the balls & spices (cumin, black & red pepper, salt); before serving mix crushed garlic & lemon juice. 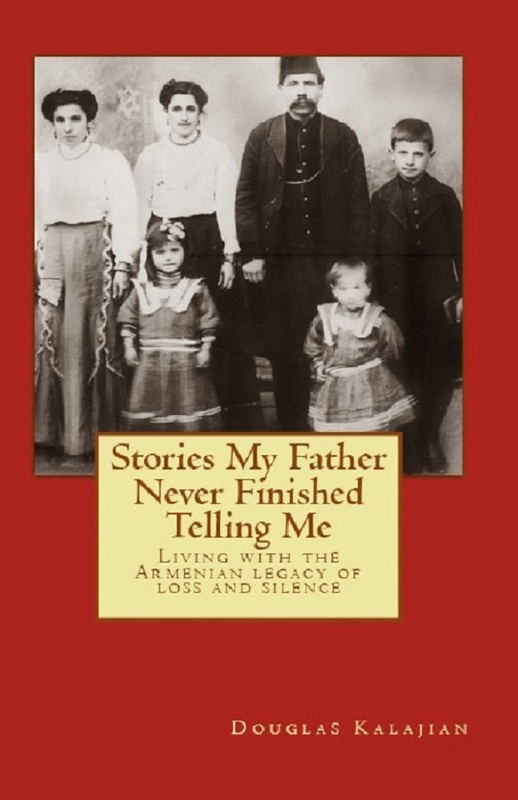 The story of PORANI sounds like a legend. The king of Persian Sanasarian Khosrov (6-th C.) hadn’t a son to inherit his throne; his daughter, whose name is Porantukht, followed him. She liked matsun (yoghurt) very much; In her honor, the foods with matsun were called porani. In fact there are different kinds of PORANI's in the whole region. (Iran, Irak, Armenia, Georgia, etc...) The similarity is the using of matsun in it. 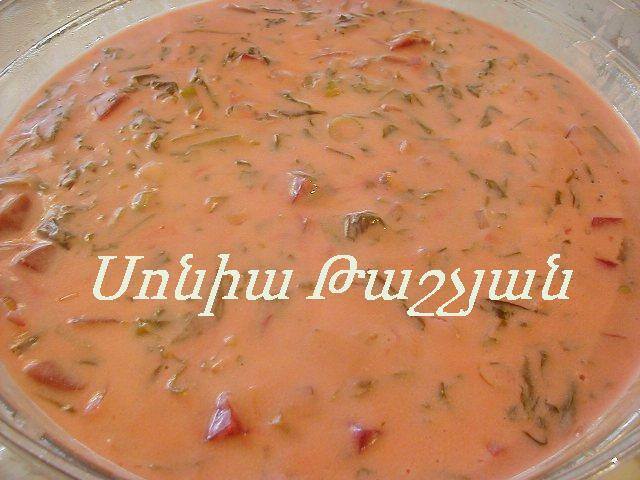 In the Armenian traditional cuisine I have found & tried approx. 13-15 versions, some of them are with meat, others are with grains & the others with vegetables. 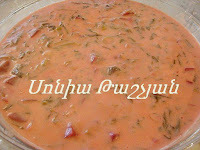 The Persian-Armenian variety of borani is a soup. - boil 1 liter of yoghurt with an egg & 1 tablespoon of flour. - chop & cook 3 beets. - chop then finely fry 1 onion, 1 green garlic & 1 bunch of chard. - combine all, season with salt & black pepper; add some water & continue to cook 10-15 minutes.